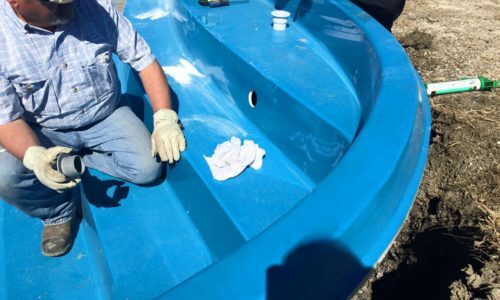 For accuracy, a design template that is the exact size and shape of the pool you purchased will be used to layout the placement of your fiberglass inground pool. 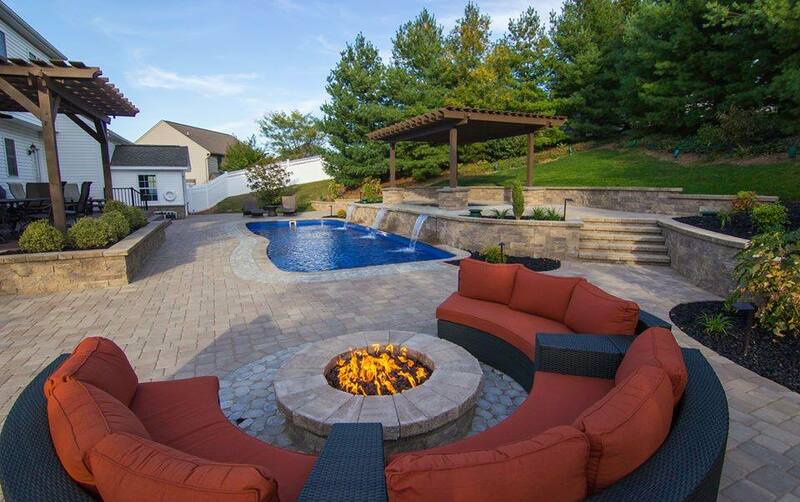 A dig print is used for the excavation that is specific for your pool’s design and shape. The hole is dug meticulously to prevent needing an unnecessary amount of backfill, and compacted to prevent unwanted settling. 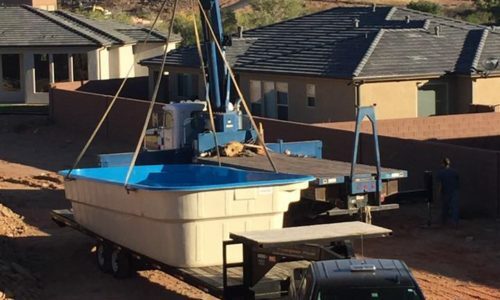 Your fiberglass pool arrives at your home on a truck-trailer. The pool is offloaded from the trailer and lowered into place in the excavated hole after a compacted bed of gravel is prepared. Guide stakes, string lines and laser levels are used to ensure accurate placement and leveling. 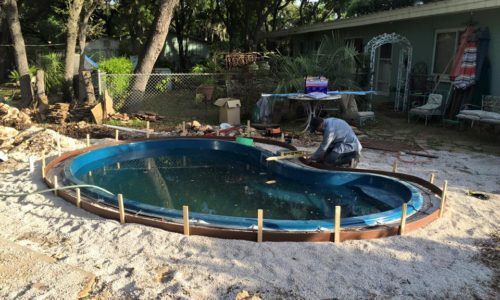 After placing the pool on the gravel bed, the floor of the pool is walked on to ensure that there are no voids or humps that were formed during the placement. Water is then added to the pool simultaneously along with backfill. Continuous checking of the levelness of the pool is critical. 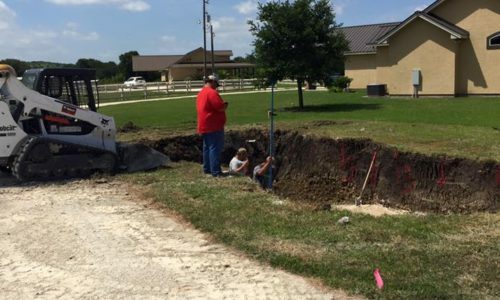 While water and backfill is being done, connecting the plumbing from the pool to the equipment pad location can be completed. 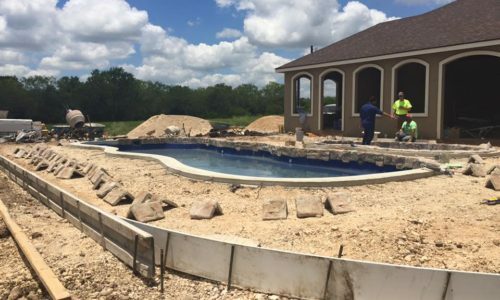 After water and backfill have been completed, gravel is prepped for what whichever type of decking will be surrounding the pool. Typical decking includes concrete or pavers. Finally leveling and shape adjustments and bonding are done at this stage. 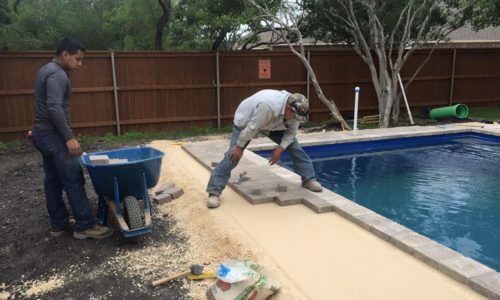 At this point the concrete decking, pavers or combination of the two are installed around the pool. Integrating accessories and features such as handrails, ladders, water sheers and deck jets. With the pool installation complete, and the yard cleaned up, the pool is officially turned over for the owner to enjoy! Start designing your installed Barrier Reef Pools and Spas Project.